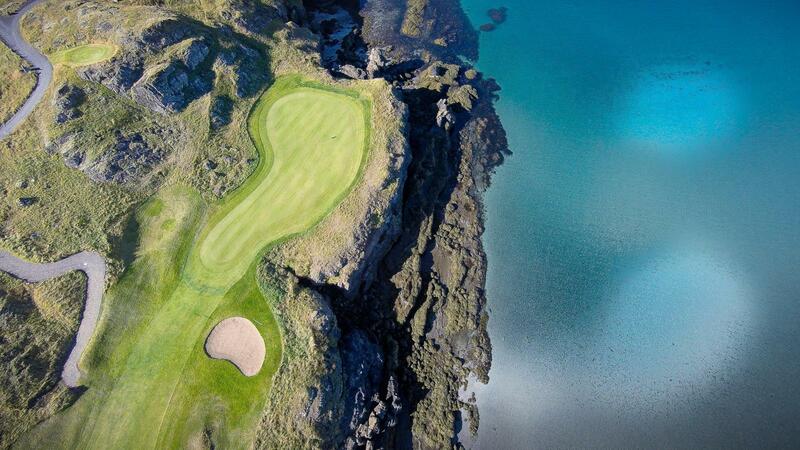 You may communicate with us anytime using the button below or email us at concierge[email protected] – we’re happy to help! 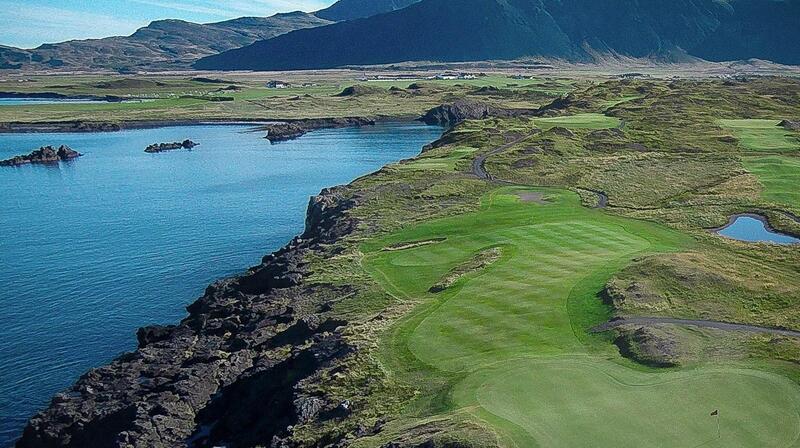 Brautarholt Golf Club is ideally situated in the Greater Reykjavik Area, in 30 minutes driving distance to the north from the city center. 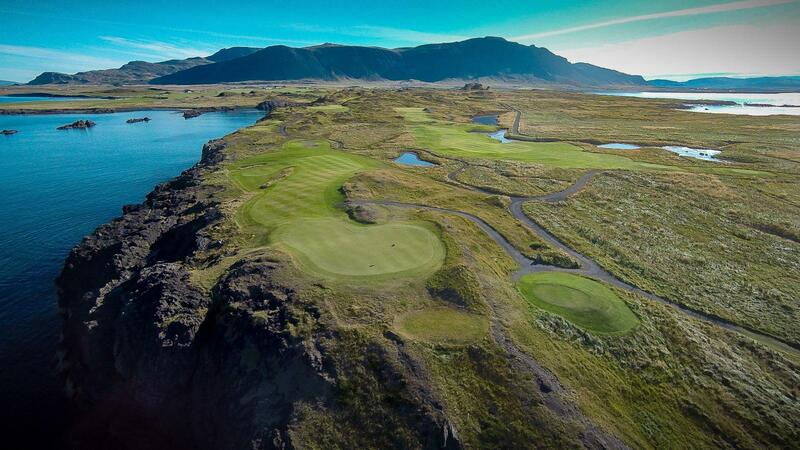 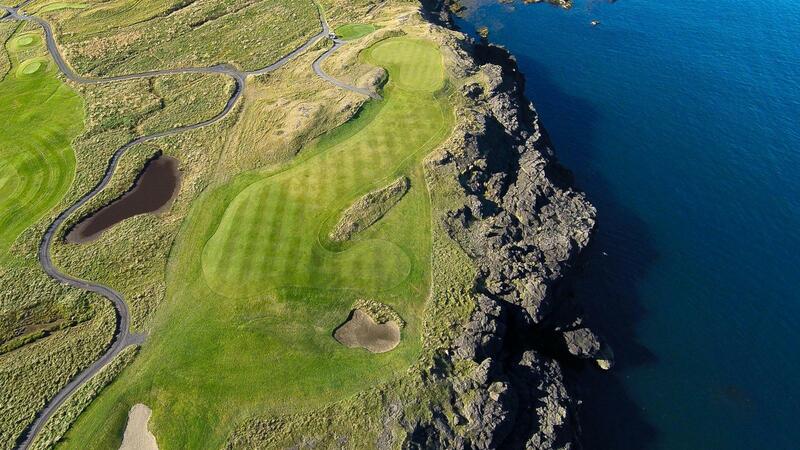 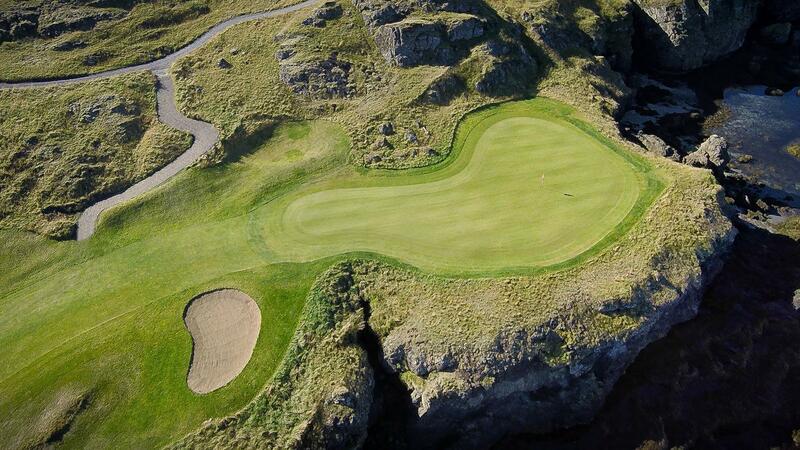 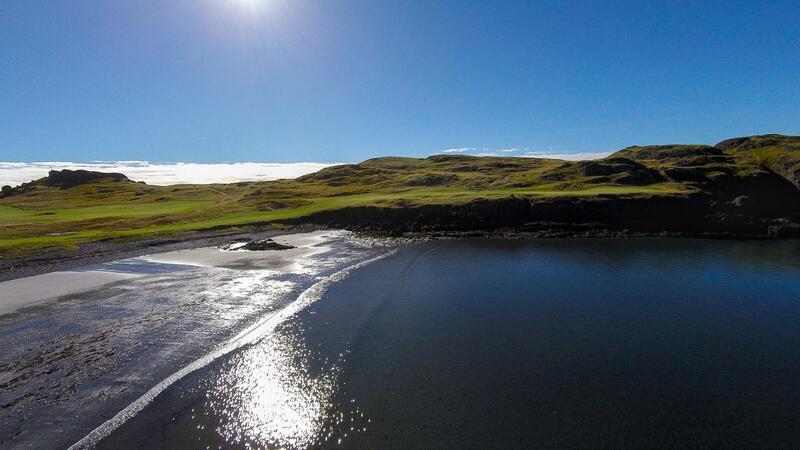 At Brautarholt Golf Course you will enjoy a terrific landscape: the golf holes are perched atop dramatic clifftops and the waterfront location offer unique views to Reykjavik city and in the distance to Snæfellsjökull glacier. 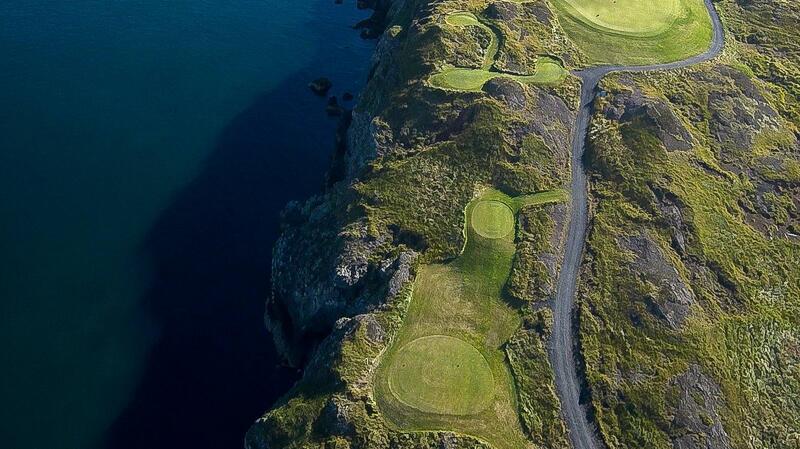 Each hole is different, weaving in and out of the lava formations and alongside the ocean cliffs and crags. 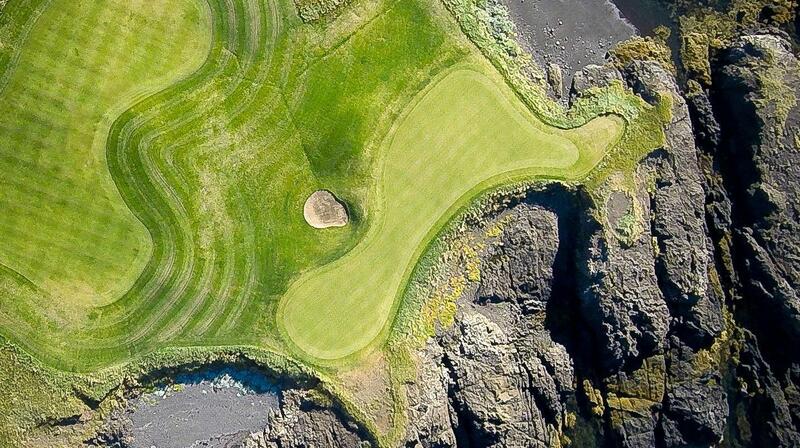 Holes 1 and 5 are characterized by many as signature holes. 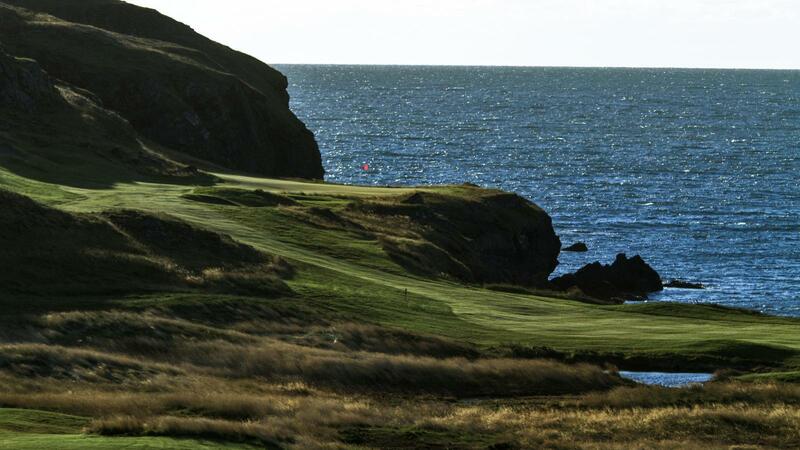 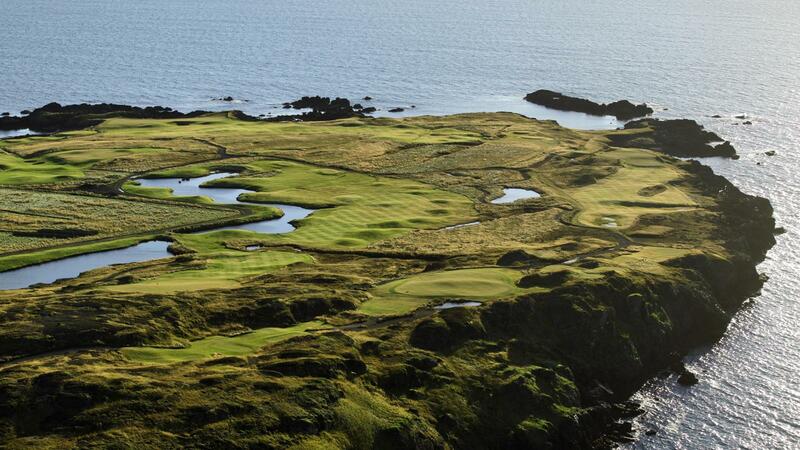 The first hole is a difficult par 5 where the green sits on a sheer rock beside the coast. 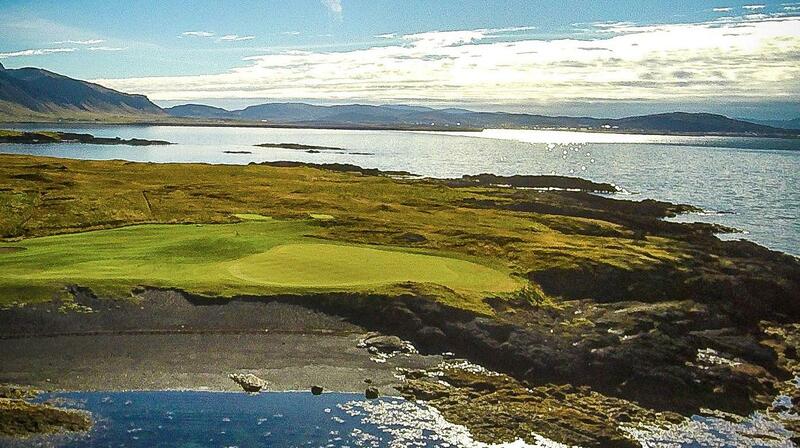 It is intriguing and demanding at the same time and a wonderful experience for short and long hitters. 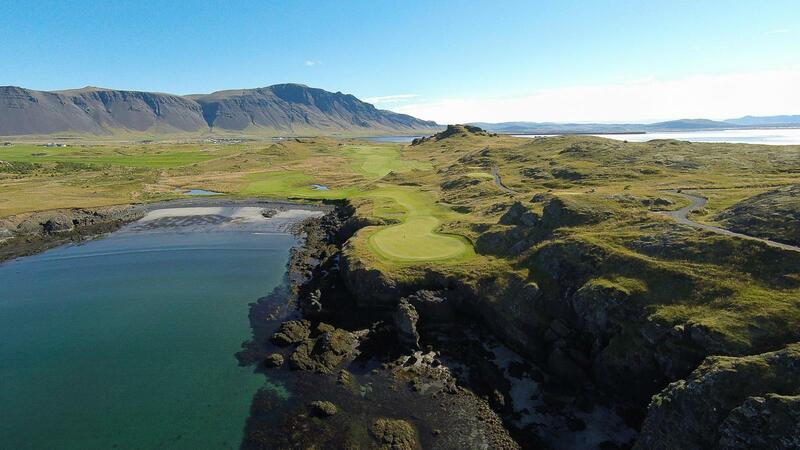 The fifth hole is a long par 3 over the Gold-Chest Creek that utilizes all of the natural and Icelandic only features you may expect. 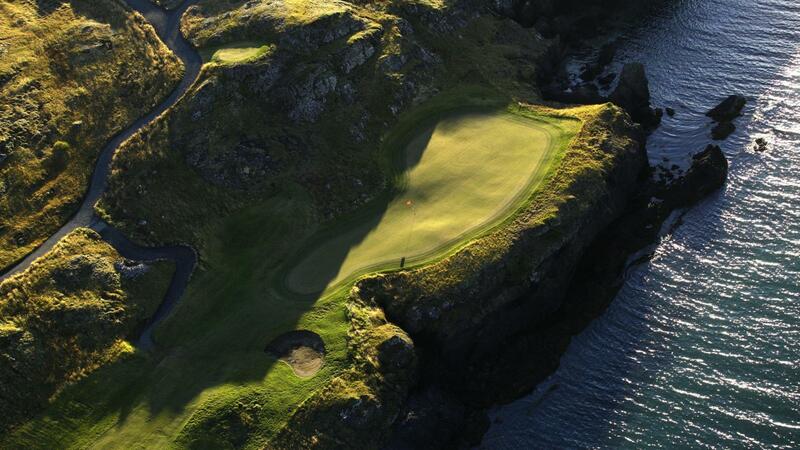 You can play golf at midnight in June and most of July. 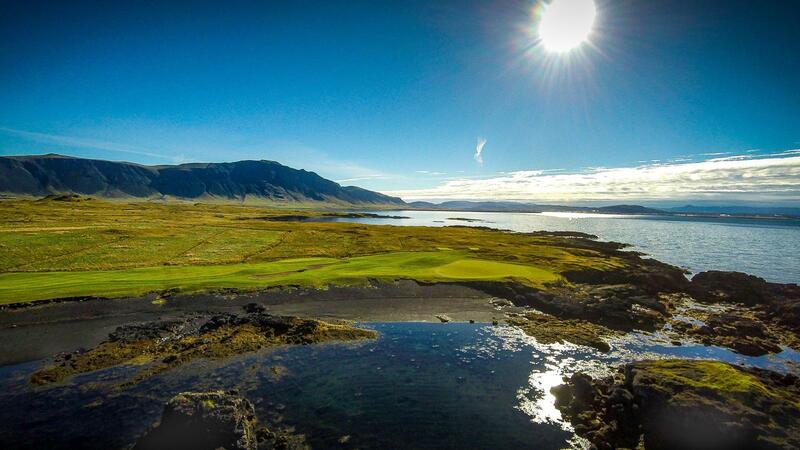 There is something magical and enlightening about playing golf in the midnight sun.